I’m currently trying to break a lifelong addiction and it’s been about as easy as pulling teeth from a silverback gorilla. Sweet Tea and I have been together a long time and saying goodbye is anything but easy. Ever since I discovered that my “innocent” glass of sweet tea has as many calories as a glass of Coke, I’ve tried to drink all of my tea unsweetened. Fortunately, I’ve figured something out. If you brew and drink really good tea, you don’t miss the sugar. As you may know, I’m not just a “crazy tea chick,” I’m also a “crazy coffee chick” – I just don’t have the website to prove it. Kaldi’s Coffee is, I guess,what you’d have to call my “go to” coffee. You know, the brand you grab when you want your coffee to be on its very best behavior. In fact, my favorite coffee in the world is Kaldi’s Birds and Bees Blend. Sorry, Starbucks, but that’s just the facts of life. When I read that Kaldi’s now sells Firepot Nomadic Teas, I knew I needed to try them immediately. If Kaldi’s believes Firepot Teas are wonderful enough to sell on their website and in their shops, that tells me all I need to know. Firepot Teas include a couple of wonderful Chai Teas (Chai tea lattes are one of the reasons I get out of bed each morning) as well as a beautiful line of loose leaf teas. Over the coming weeks, I’ll be reviewing each of these beautiful teas on Crazy Tea Chick. 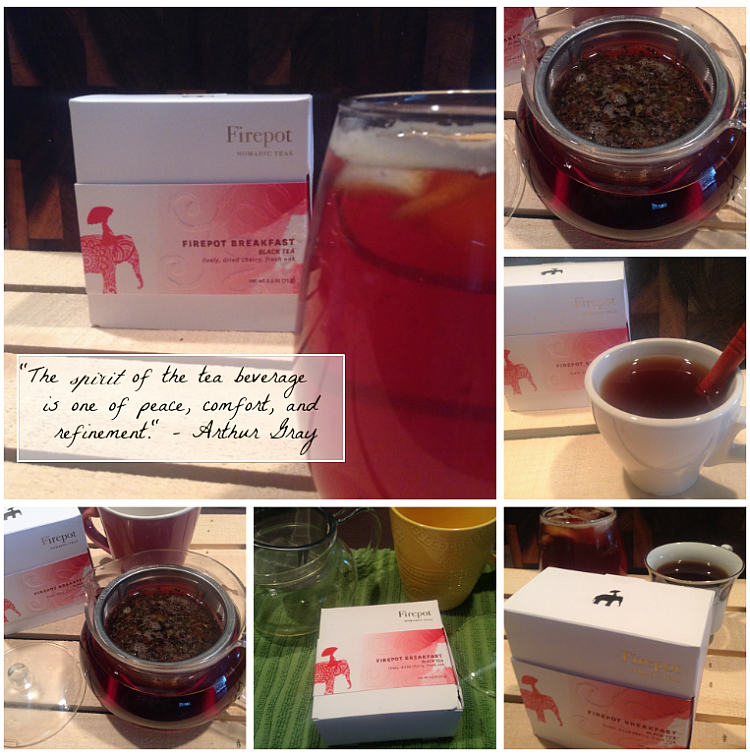 But first, I’d like to introduce you to Firepot Nomadic Teas. Remember the first time you ever had a really good cup of coffee? The first time you tasted artisan bread or a great bottle of estate grown wine? You instinctively knew that you were experiencing something more wholesome and real. 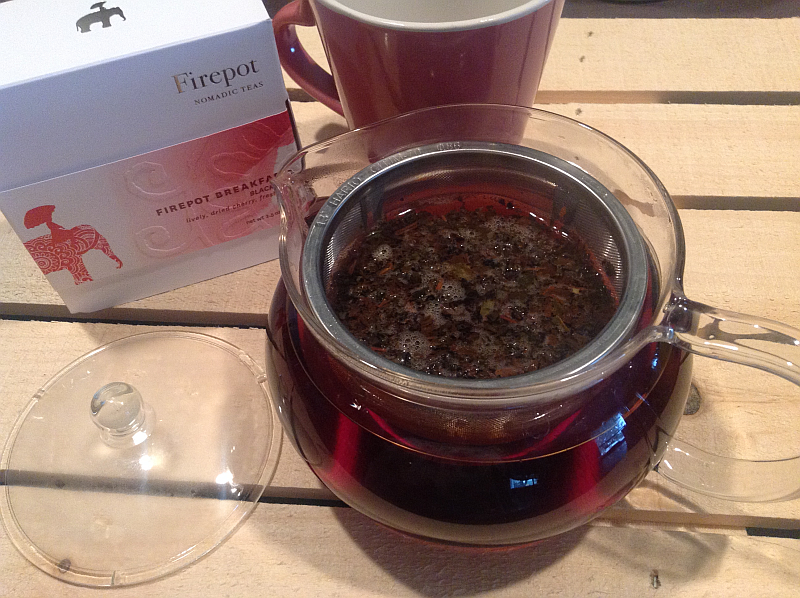 The first Firepot tea I chose to brew was Firepot Breakfast Tea. I loved it so much it’s also the one I brewed second. Black tea is a beautiful thing, and when the blend is as beautiful and delicious as the Breakfast Black Tea blend from Firepot, you actually find that “beautiful thing” is an understatement. Simply put, it’s what a cup of tea should taste like. 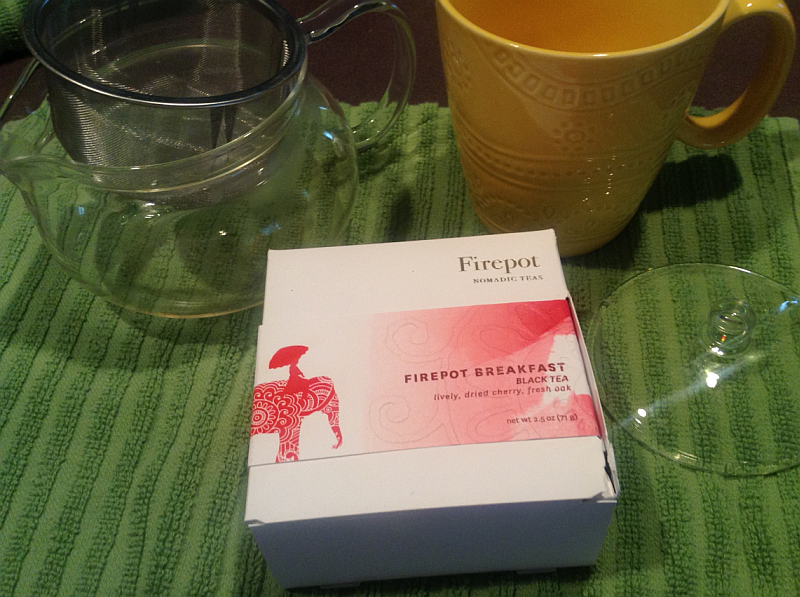 Firepot Breakfast Tea will make you fall in love with Black Tea all over again. Some say that it was just one cup of a uniquely bold and brisk tea served to Queen Victoria at Scotland’s Balmoral Castle that spurred her love affair with this style of tea. Our classic English Breakfast blend combines a rich, malty SFTGFOP (Super Fine Tippy Golden Flowery Orange Pekoe) tea from Assam with golden Ceylon Pekoe from Sri Lanka’s famed Uva region. This noble tea can stand alone, but also pairs well with milk and sugar. I’ve enjoyed this Breakfast blend hot as well as iced and honestly can’t decide which I prefer. They’re both exceptional. Served hot or cold, the tea doesn’t need one single grain of sugar. Served hot, I love a little honey to sweeten the deal and, because I’m all about presentation, I often float a little slice of lemon or orange in my cup. Steep 2 teaspoons of Firepot Breakfast in 1 cup (8oz) of 205° F water for 4 minutes and strain. Makes 1-2 infusions. For 205° F water, boil then let cool 1 minute. I’ve gotten 2 perfect infusions each time I’ve made Firepot Breakfast. 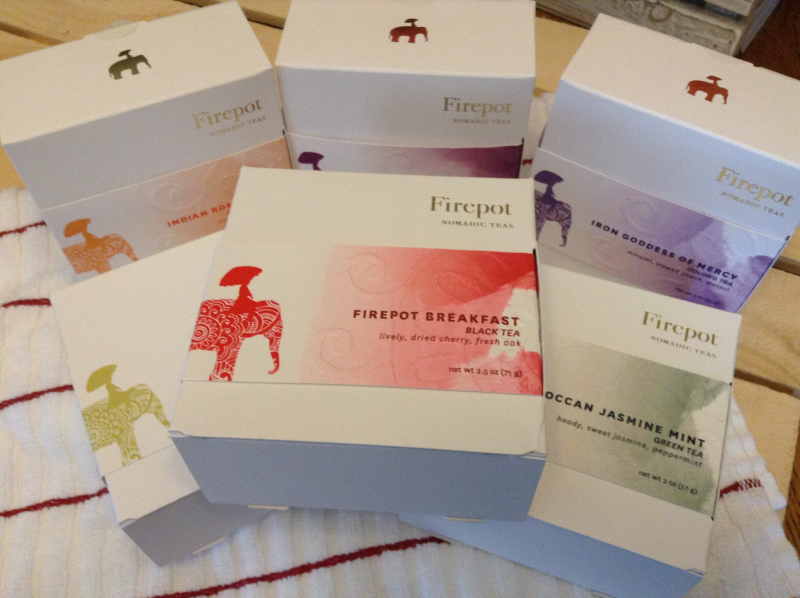 Order your own Firepot Breakfast Tea by visiting Firepot’s beautiful website. Tell them the Crazy Tea Chick sent you.